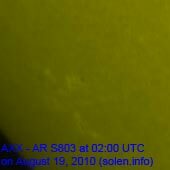 Last major update issued on August 19, 2010 at 04:05 UTC. The geomagnetic field was quiet on August 18. Solar wind speed ranged between 331 and 385 km/s. 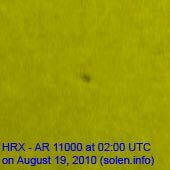 Solar flux measured at 20h UTC on 2.8 GHz was 80.2. The planetary A index was 5 (STAR Ap - based on the mean of three hour interval ap indices: 5.4). Three hour interval K indices: 22112121 (planetary), 23111211 (Boulder). 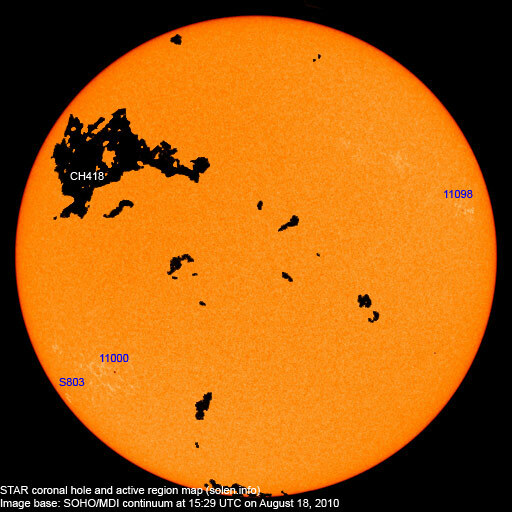 Region 11098 decayed further and will likely become spotless today. 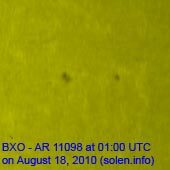 A C4.5 long duration event peaked at 05:48 UTC. 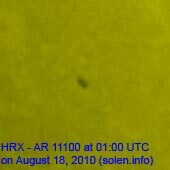 Its origin was in region 11099 behind the northwest limb. The event was associated with a type II radio sweep and an enhancement of the above 10 MeV proton flux. 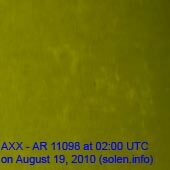 August 16-18: No obviously Earth directed CMEs were seen in LASCO or STEREO images. 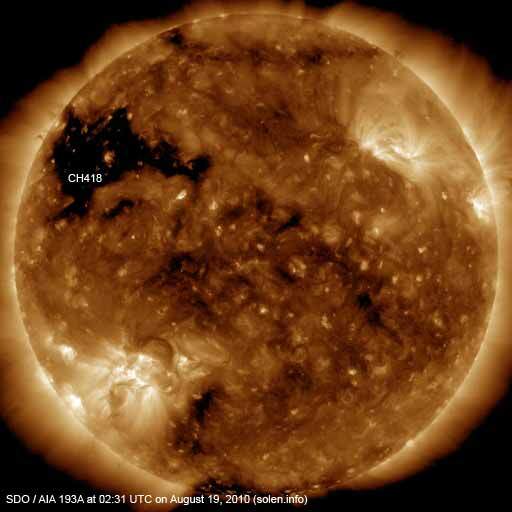 A large recurrent coronal hole (CH418) in the northern hemisphere will likely be Earth facing on August 20-23. The geomagnetic field is expected to be quiet on August 19-22. A high speed stream associated with CH418 could cause quiet to active conditions, with occasional minor storm intervals on August 23-26.